Until his revival which was kick-started by the release of the Joe Henry produced Don’t Give Up On Me album in 2002, Solomon Burke was very largely a forgotten man other than to a few diehards like yours truly. In the US, most critics, with certain honourable exceptions like Peter Guralnick, used to categorise him as just another southern soul shouter, in spite of the fact that, from 1961 to 1965 he had a stream of lowish to medium level hits which largely enabled the Atlantic label to keep its head above water. In the UK things were somewhat different. The Stones covered Everybody Needs Somebody To Love on their second album and Cry To Me on Out Of Their Heads, the Zombies covered Can’t Nobody Love You, and so on. I was sold from the first few bars of Just Out Of Reach in 1961, and Cry To Me and Down In The Valley just deepened that infatuation. Maybe infatuation isn’t the right word but my attention did move around a tad as other artists appeared and Solomon got less radio plays. 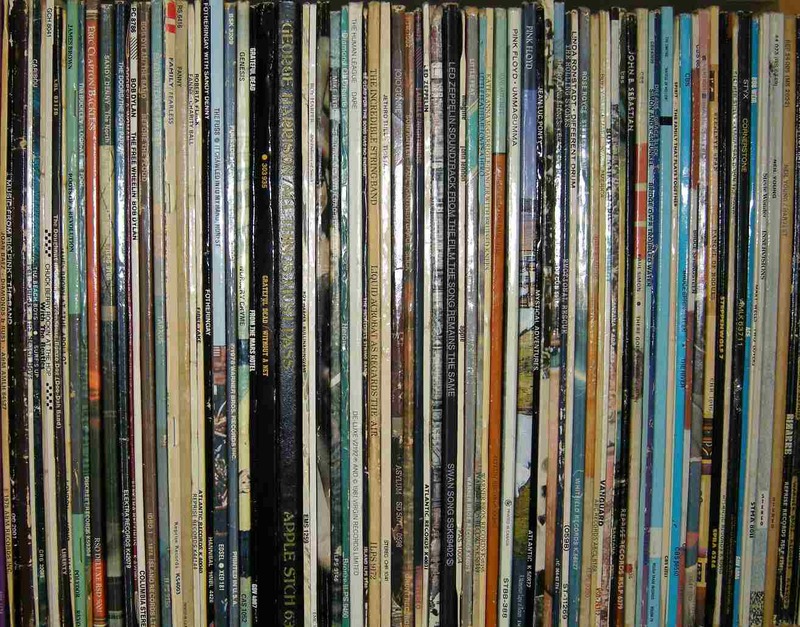 But over the next few years I did pick up LPs, sometimes secondhand, including the eleven track Best Of Solomon Burke (which got played to death even during the psych years), Rock ‘n’ Soul, plus the late period Atlantic one, I Wish I Knew. I even managed to locate some of those albums issued during what are sometimes thought of as Solomon’s wilderness years, Proud Mary on Bell, Electronic Magnetism on MGM and the gospel one, I Have A Dream on ABC/Dunhill. Right from my first acquaintance with Solomon, I regarded him as the finest of all the black singers whose vocal performances were based on a solid grounding in gospel, topped by a combination of inventiveness and intelligence that was demonstrated by few other artists either within or outside the soul genre. Just Out Of Reach (Of My Two Open Arms) was one of four songs which were recorded by Solomon at his first session for the Atlantic label held in December 1960, though it didn’t see release till Summer ’61; his first release which consisted of a couple of other numbers from that session is largely forgotten now. The song was of the type that’s often labelled a country tearjerker and it had been a minor hit for Faron Young way back in 1953. Reportedly Solomon was not wildly enthusiastic about taking on such a number. However the Atlantic management – Jerry Wexler et al – did have some form in this area. They’d recorded blues man Ivory Joe Hunter singing Empty Arms in 1957 and it did very nicely in the R&B chart. Ironically, although the song was of the sort that could have been heard on any country jukebox in the fifties, and indeed it went on to be a hit in the Country chart via a cover from Sonny James, it had actually been written by Ivory Joe himself. In spite of any qualms, Solomon’s performance on Just Out Of Reach turned out to be magnificent – that deep voice soaring to the high notes was something to behold. Wexler added Floyd Cramer-ish piano plus saccharine soaked strings but it was Burke that the buyers fell in love with. It went on to be one of the man’s biggest hits, selling a million discs and reaching #24 in the US chart. Not only that, it introduced the world to a whole new genre, Country Soul, and that at a time when most of us hadn’t really got to know soul music in any form. Just Out Of Reach may not have been the best of Solomon’s country soul outings – there are several vying for that title – but it was the first, so it very much deserves inclusion here. If Cry To Me reminded us strongly of Solomon’s gospel roots, then his next single Down In The Valley rammed that point home even harder. Perhaps more than any of his records so far, this was one to influence soul dance records to come. A fruity brass section responded to Solomon’s emoting with a combination of urgency and empathy. Reportedly (see Wiki) Solomon had asked for tuba and trombone just like he had in his church at home. The song was originally a traditional one with versions from a host of people including Leadbelly. His version, which has the alternative title Birmingham Jail, is worth a listen. Flip Down In The Valley and you get I’m Hanging Up My Heart For You, another country-oriented ballad with a more restrained and subtle arrangement than Just Out Of Reach – little more than piano and organ – and the song itself is an improvement. This was the sort of effort that made the term ‘deep soul’ come into fashion, and it’s one that very nearly made my list. He was born, James Solomon McDonald, in Philadelphia, Pennsylvania in 1940. He began preaching from the age of 7. In high school he led a quartet named the Gospel Cavaliers. He won a talent competition at the age of 15 and was signed by Apollo Records of New York. The label was largely known for R&B and Doo Wop but in the early years they also issued a stream of Gospel records from some of the giants of the genre including Mahalia Jackson, the Dixie Hummingbirds, the Alex Bradford Singers and more. Solomon recorded 11 singles plus a few for some much smaller indie labels, but without much in the way of success. After a somewhat troubled period with Apollo, Solomon was dropped and he started branching out onto alternative career paths such as undertaking (in UK terminology) in order to support a new family. As an aside I would add that Solomon’s sales and entrepreneurial skills continued to flourish alongside his musical and episcopal careers. As a second aside I’d add that Sol was married 4 times, fathered at least 14 children (including at least 2 outside marriages), had 7 stepchildren, 90 grandchildren and 19 great grandchildren at the time of his death. Back to the music. He was signed by Atlantic in November 1960. Which brings us roughly up to date. 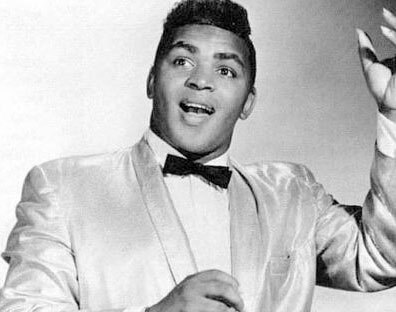 For me, the body of music that Solomon Burke created at Atlantic in the years 1961 to 1968 was at least as good as, if not better than, that produced by his peers, and in that grouping I’d include names like Cooke, Charles, Bland, Brown, Redding, Carr, Alexander and Pickett. That work was so good that a Toppermost Ten could very easily have come from Solomon’s Atlantic phase alone and I have to admit that I was tempted. However, in order to give at least a flavour of his long non-Atlantic period I’m going for a 50/50 split between Atlantic and Sol’s later work. Which leaves me with two more from Atlantic. Perhaps as trite an opening as you could imagine. Who else but Sol (abetted perhaps by Bert) would have dared open a record with it – and that tuba is parping away in the background again. Our man is in full testifying/sermonising mode and he stays that way, working the crowd for just short of a minute before the song actually starts – and that crowd is there too I should add, making themselves heard with a vengeance. I couldn’t possibly have ignored Everybody Needs Somebody To Love. Even if the name of Solomon Burke is unfamiliar it’s unlikely you won’t have heard this song. The Stones covered it on their second album which was released in ’65. There were several more covers but the one that most people will be aware of is the version in the 1980 Blues Brothers film. Can’t Nobody Love You is different again. It opens with what sounds like a twelve string guitar, possibly played by Berns himself, and then settles down to be a late night lounge ballad of the sort that might be sung by a Sinatra or Dean Martin, barring a bit of call-and-response with a female chorus. The words aren’t anything special; just Solomon declaring his love for his baby with far less pleading than usual. It’s charming and it works. I first came across it on Rock ‘n’ Soul which also contains an even more Dean Martin oriented performance and song in You Can’t Love Them All. There’s also a Woody Guthrie song, Hard, Ain’t It Hard, in the set, which makes one wonder if the powers that be at Atlantic were attempting to fit Sol into an all-round entertainer and/or song chameleon a la Ray Charles or Bobby Darin, both of whom had left Atlantic shortly before Solomon signed for the label. Solomon’s heyday at Atlantic was from the early to mid part of the decade. In the second half many of the punters moved elsewhere, in part, probably, to Stax and Motown. However before closing off my coverage of this timeframe I’d make a couple of comments. Firstly, that there was no serious quality drop from ’66 to ’68. I find myself in total disagreement with AllMusic in their review of Sol’s third and final Atlantic album, I Wish I Knew. Their reviewer saw this LP as “a desperate mix of R&B oldies, sappy contemporary tunes and a scurrying search for style in the storm”. I would agree that it’s not all super fantastic but there are a couple of stunners in there – the Joe Tex cover, Meet Me In Church, which very nearly crept into my list – plus a great reading of Ivory Joe’s Since I Met You Baby. Secondly, to remark that there were so many great performances by Burke (and his producers) in the overall Atlantic period that my top five goodies could well differ partially or even completely from someone else’s. Just to list some of those songs: If You Need Me, Home In Your Heart, You Can Make It If You Try, You’re Good For Me, He’ll Have To Go (yes, the Jim Reeves one and a great version), The Price, Got To Get You Off My Mind, Tonight’s The Night, etc. etc. And he did record a Bob song – Maggie’s Farm – even if opinions are mixed about it. Solomon left Atlantic at the tail end of 1968 and signed with Bell where he delivered 5 singles and an album. He achieved a minor hit with his version of CCR’s Proud Mary and that was about it. But there was quality in his Bell performances and they’re worth searching out. I’ve selected a couple from this period. That Lucky Old Sun is proof, if it were needed, that Solomon really could sing the phonebook, as the saying goes. After the second verse, he’s lifting us up to paradise and a brass section that sounds remarkably like the Memphis Horns appears from nowhere: “That lucky old son-of-a-gun ain’t got nothing to do y’all but roll around heaven, roll around heaven all day.” Solomon may actually have invented the fadeout that sounds like they’re all off to a party. This is another great example. Song #2 from Bell is Please Send Me Someone To Love, originally from shadowy, but important, bluesman, Percy Mayfield, and the arrangement reflects the more uptown blues-oriented style of the song. It’s along the lines of those great backdrops that Joe Scott used to wrap around Bobby Bland on his later Duke records. Solomon gives it one of those intros which both sets himself up and almost sends himself up, but, of course, he’s equal to the challenge and turns in a magnificent vocal; just listen to that second “pleeeeeease”. Before leaving his Bell output, I should also mention an excellent version of Chuck Willis’ classic pre-soul number What Am I Living For with minimal (almost organ only backing) plus Proud Mary itself which is up there with Fogerty’s original in my estimation. After Bell it was MGM, where I’m going to make a stop and shine the light on one that I consider to be a bit of a gem from this period, (Let Me Light Up Your Life And) Together We’ll Light Up The World. It’s one that seems to span the gospel and secular divide. He gives it a whacking minute and a half preachifying intro before launching into the song which is part sing-a-long, part Solomon solo. The tune, to me anyway, evokes something Austrian and vaguely Victorian era. Whatever, it’s damnably catchy. Once this one gets into your mind it just sticks. The arranger helps to build the overall celebratory mood by having a key change or the addition of more backing singers or extra instrumentation at the start of each verse. A very satisfying performance. After MGM it was ABC/Dunhill, after ABC/Dunhill it was Chess (who tried to turn him into Barry White), after Chess it was Savoy, after Savoy it was Rounder (who saw him more as a bluesman) and so on and so on. Solomon kept making records right through that long so-called fallow period, and, don’t get me wrong, there’s some good stuff hidden away in there. I’ve by no means sampled all of it and, given the man’s phonebook propensity which I’ve just mentioned, he could often rise above poor arrangements and/or material. One album that definitely deserves attention is the concert set from Rounder, Soul Alive. AllMusic commented, “Recorded in 1983 in Washington, D.C., the set proves Burke had lost little from his ’60s heyday; he works through nearly all of his hits, spurring on the concert-goers as though they were the ones performing instead of him – in fact, some of the women are heard screaming so often they should’ve been credited”. The YouTube audio-only clip gives a good flavour; a near seven minute monologue from the master with sympathetic backing including occasional punctuation, then it’s into Joe Tex’s Hold What You Got and a near triumphal He’ll Have To Go. The work that Joe Henry did with Solomon on Don’t Give Up On Me, which was released in 2002, is comparable to the effort Rick Rubin put in on the American series with Johnny Cash. That’s not the first time that statement’s been made and it probably won’t be the last. Not only did Henry give Burke the best production and arrangements that he’d received in decades, he also solicited new songs from artists far and wide, whose only common denominator was that they were all Burke fans. If you have any knowledge of Solomon at all you’ll be aware of this album. It was the one that informed the world that the erstwhile King of Rock ‘n’ Soul was back. AllMusic called it “nothing short of revelatory” and went on to state that Solomon, at the age of 66, “had lost none of the power, force, or dramatic intensity of his glory days”. Several of the songs and arrangements in the set take Solomon on to pastures new, giving him totally fresh challenges to meet. My sole pick from the album, Flesh And Blood (written by Joe Henry himself), is just such a song. I don’t know how to describe the performance; it has aspects of blues and soul but is missing the usual tropes you associate with such genres. Much of it is a slow two chord minor key riff accompanied by little more than organ, alto sax (or something that sounds like it) and guitar. Solomon is in conversational mode occasionally breaking into song for a few notes. By the third verse the resignation has been transformed to ecstasy and by the end hope has entered. A stunner. A couple of others tempted me on this album: Elvis Costello’s dramatic, The Judgement, and the title track which is a more traditional soul ballad of the kind you could imagine Otis singing. 2005 saw the release of the Don Was produced Make Do With What You Got. Unlike Don’t Give Up On Me this was much more of an attempt to replicate the Jerry Wexler/Bert Berns production with updated technology. Verdict – not bad at all but almost anything following Don’t Give Up would have been a disappointment. It did include a few interesting songs like the little-known Hank Williams, Wealth Won’t Save Your Soul which allowed Solomon to get up in that pulpit again. My favourite is the Stones’ I Got The Blues. It’s fascinating to hear the real Burke rather than the ersatz one. I suspect that something like 90% of Stones’ fans are unaware of how much of a debt Mick owed to the King. This is another one which almost made it. The following year saw yet another release from Solomon as if to make up for lost time. It was different again. Nashville, produced by alt-country man Buddy Miller, took Sol right back to country music. But it wasn’t chock full of tearjerkers a la early Atlantic, instead it contained a range of interesting and often unexpected songs many of which had considerably more lyrical depth than the average country weepie. But the latter wasn’t ignored completely. Don Williams’ Atta Way To Go gets dangerously close to Nashville schmaltz but, oh so predictably, Solomon saves it from dropping into mundanity. My selection from this one is the song written by Buddy and Julie Miller themselves, Does My Ring Burn Your Finger. I tried an interesting experiment with this song. First I played the version released by Lee Ann Womack which made the US Country chart. Billboard refer to this as a “haunting hillbilly treatise on the pain of betrayal and loss” and to Lee Ann’s delivery as “achingly beautiful” (my source for both comments was Wiki). I wouldn’t dispute either of those statements; both song and delivery hit me, and within that delivery I wouldn’t ignore the part played by a lonesome fiddle. I then played the version by Buddy and Julie themselves wherein Buddy takes the lead vocal, his mountain twang resonating over a much tougher arrangement. Instead of a solitary fiddle there’s a bank of them and they’re fierce. As one might expect on the Burke version, the arrangement from Buddy is not unlike his own take on the song. Those violins get to open the track and by the second verse they’re on steroids. The big man’s voice is at once more gruff, more fragile and more expressive altogether than Buddy’s. I like all three versions but I think you know which one my vote – as in Eurovision – goes to. Play this one loud. I’m going to sneak in another clip from Nashville here although it doesn’t make my Toppermost list, purely on numbers. When I bought the album I was expecting Valley Of Tears to be the countryish number from Fats Domino which is better known via the Buddy Holly version. It’s not. The song was written by Gillian Welch, and she and Dave Rawlings get to accompany Solomon on the track. What’s great to see on the live cut is the manifest joy that emanates from all three participants. In late 2006, Solomon Burke took part in some concert appearances by Jerry Lee Lewis as part of the latter’s Last Man Standing Live or, effectively, Last Man Standing Part 2 (which was released in 2007). Below you’ll see Jerry and Sol taking on Charlie Rich’s Who Will The Next Fool Be, a song that Jerry had recorded (and made a good fist of) quite a few years before. Not, perhaps, the greatest of duets but Solomon was in good voice even if Jerry was showing that those years of braggadocio were catching up with him. And yes, that is Ronnie Wood. Nashville was followed by Like A Fire which was worthy but, dare I say, a bit dull, though you couldn’t blame Solomon for that. The albums kept coming. Nothing’s Impossible, released in 2010 was another triumph and I feel somewhat on the mean side for not making a selection from it. Reportedly Willie Mitchell, famed producer of Al Green and Ann Peebles, had wanted to work with Sol for years. It was to turn out to be the last real work that Mitchell did before he died. It was good, so good that I feel it’s rather more a Mitchell album than a Burke one. Couple that with the fact that none of the songs could be called outstanding and you might understand my selection problems. I should add though, that I do own the album and I enjoy it. Solomon died in October 2010. There was one more studio album – he did get through a lot of work in the years when most people would be slowing down – and it was made with Dutch band De Dijk. That might not sound a very promising combination but it’s worth investigation. All my research came from online sources. However, if I could have found it – my copy is temporarily mislaid – I would have dug into, and probably quoted from, “Sweet Soul Music” by Peter Guralnick. This book tells you everything about southern soul music. The first 5 tracks on this toppermost can be found on the 2CD set Home in Your Heart: The Best of Solomon Burke. Tremendous. Soul Alive is so good I’d recommend it as a starting point for folks who don’t really know Solomon. I’ve worn the vinyl flat. Totally backs up Wexler’s comment about who’s the best soul singer. Many thanks Keith. I stuck with Sol during the lean years when most people had either forgotten him or just never heard of him. I’m just so grateful that Joe Henry and Jools Holland helped in a massive way to get the man some recognition in his more mature years. And he responded by giving them and us even more of that great music. And, I fully agree, more people should be aware of Soul Alive. Thanks Andrew. You dug deeper than me. I found a Solomon version of “Gotta Travel On” last night but it wouldn’t play in the UK. Yours does. And it’s further proof, if proof were needed, that he could sing anything. Really enjoyed reading your essay and great selections in your Toppermost list. I play ‘Home In Your Heart’ and some of the later albums regularly. ‘Make Do With What You Got’ is a favourite album and I would select something from this, perhaps Dylan’s ‘What Good Am I?’ I was lucky to see Sol at Massey Hall in Toronto about 2006 – a great performance. Solomon sat at the front of the stage on his throne singing so beautifully and relaxed, but you could see clearly who was in charge of the band, using gestures to bring the sound down at times. A great band, and I would give a special mention to the rhythm and lead guitarists. A great night with some of the audience dancing on the stage at the end. I’ll always remember this concert. Thanks for all your work – a great effort, David. Thanks for your kind comments Colin, and I’m exceedingly envious that you saw the King. I was lucky enough to get to see several of my heroes from the 50’s and 60’s, and that included Otis and the Stax Volt show but no Solomon. I’m not sure I did justice to all of the man’s output above; I still feel there was so much really great stuff I didn’t even mention..
Another excellent article,Dave,your research is,as always, tremendous. Two of my fav tracks by Solomon are “Stupidity” (covered by Dr Feelgood among others) and particularly “(Won’t you give me) One More Chance” which I have on an EP. A beautiful production and performance, and well worthy of a listen by Toppermostreaders.